Comfort is the key word. 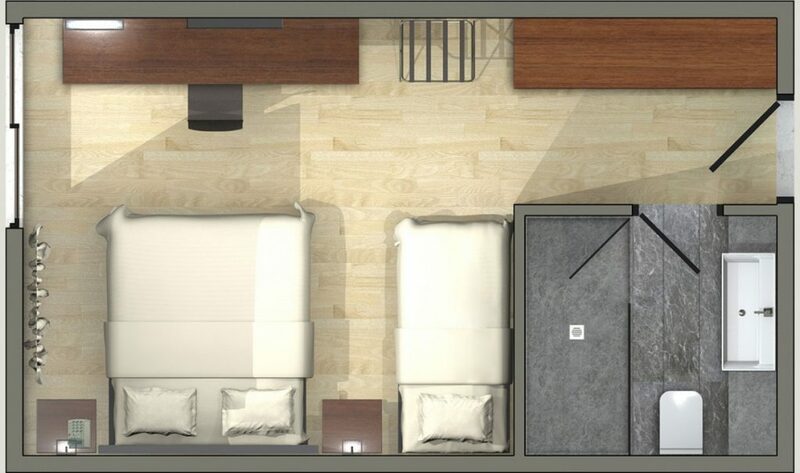 Spacious and modernly decorated, these rooms are located on all floors and its inhabitants can enjoy either a view of the city or the atrium of Aquila Atlantis Hotel. The Aquila Hotels & Resorts Non-Smoking Policy has been developed in the best interest of all guests, employees, visitors, and service providers to minimize exposure to second hand smoke and ensure compliance with European and Greek Laws..